For over 2 weeks over 100 individual works, with a broad selection of prints, posters, photographs, original illustrations, sculptures, and cards, were shown at the salon-style exhibition for the Christmas shoppers. 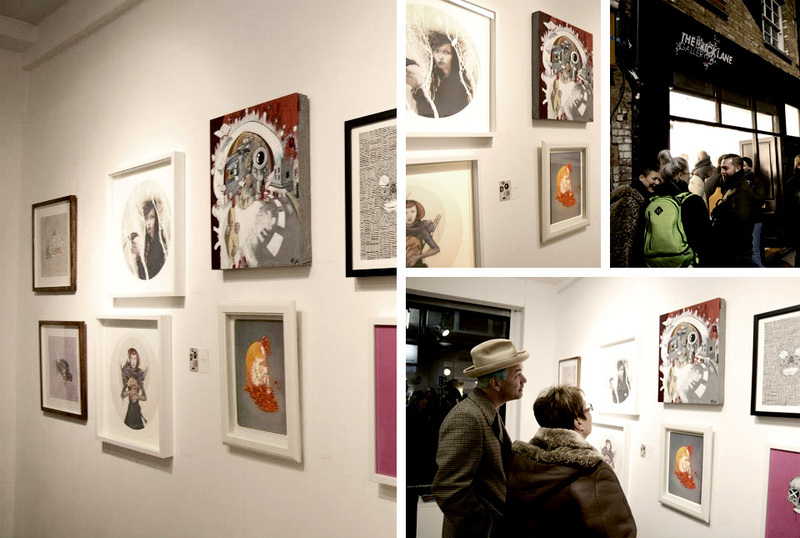 All artworks by selected artists filled the walls of the Bricklane Gallery in London. 3 of them by yours truly.